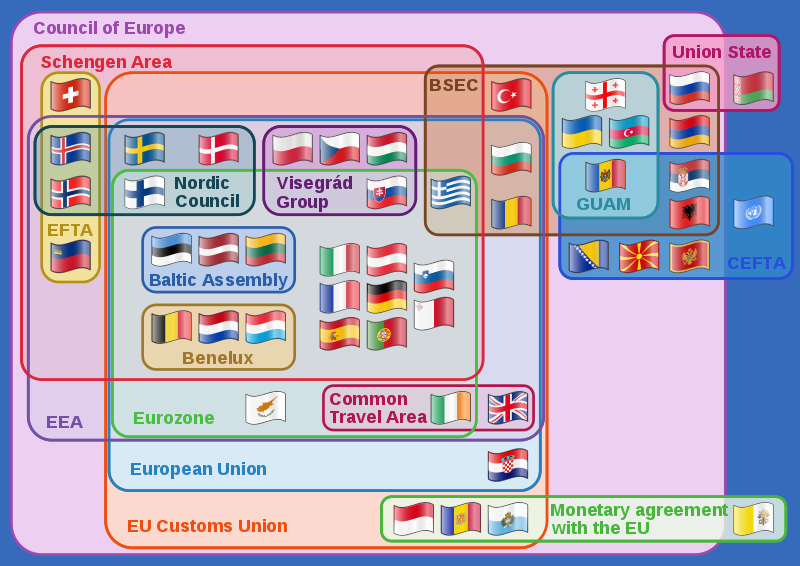 I looked at CGP Grey’s Europe diagram yesterday and saw that it was outdated. 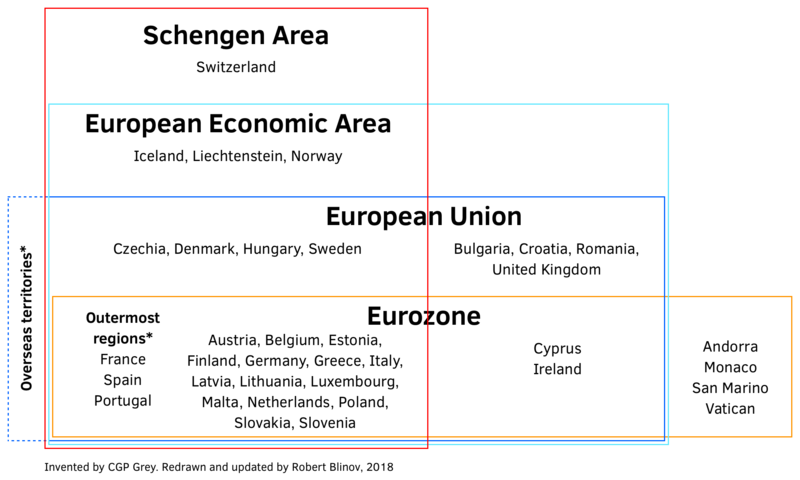 Latvia and Lithuania are now in the Eurozone, and not just in the EU. I started with a blank sheet and worked my way through. I also added the four countries that use the euro but aren’t in the EU: Andorra, Monaco, San Marino, and the Vatican. I did not add Montenegro and Kosovo to this zone. If I added them, I’d have to add Zimbabwe, as they all use the euro but aren’t approved by the Council to do so.